We’ve all experienced the impact of someone not listening at some point. Whether it’s a husband who won’t listen to his wife, a supervisor that won’t listen to his team, or even a coach that won’t listen to a player. We have all experienced the frustration of a time where our perspective on a situation wasn’t asked for, or included in the decision making process. Listening doesn’t mean that we are taking a vote, or delegating the responsibility to make a decision on others. But what it does mean is that you value the perspective of the people around you and in turn, that allows people to opportunity to share their thoughts and buy-in to the decision that is made. As leaders, we all know how important it is to listen. But if I’m really honest with myself, listening can be one of the most challenging things for me to do. Especially when I find myself in problem solving mode and want to rely on my perspective and experience to make a decision. 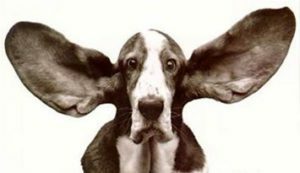 As leader, not listening could prove dangerous, and could threaten your ability to influence others. Especially when you need other people to buy-in to the decision that was made. Today, I want to focus on decision-making, and making sure that we aren’t frustrating the people we should be leading by not listening to their thoughts and perspective. Asking your family or team for their thoughts will not only allow you to gain their perspective on the situation, but you will also gain their respect for you as a leader. This process empowers that people around you to be proactive and support the decisions that are made. Here is a story of a vision casting process that I recently experienced and the process of getting the team to help not only share their thoughts, but also come up with solutions to the problems we were discussing. Remember, the person who comes up with the solution is also the person that has to see it through. I hope this story helps you. A couple weeks ago, my wife and I were asked to help create support and structure for our youth ministry. The leaders were struggling to maintain momentum, and they weren’t able to get any volunteers to assist them with the youth. It had been over 5 years since I had served as the youth minister, but many of my previous staff still serves at the church, as well as young adults that are members that were previously youth when I was the leader. My wife and I immediately reached out to a group of potential people to see if they would be interested in hearing about our vision for the growth of the youth ministry. Every one of them agreed to come to our meeting. At the meeting I asked everyone to share why they are passionate about serving in the youth department, and what youth ministry has meant to them. As they shared their stories, there were many common themes that were shared that created a common bond for why everyone was in the room. I then shared a brief mission statement, and vision for the department, which included creating and developing 8 different departments ranging from parent engagement to college readiness and life-skills. I then opened the floor to ask them if they agreed with the mission and vision, and if so, what could we do together to make it happen. That’s when something beautiful happened! Every one of them had ideas on how to make every aspect of the vision happen. Everyone felt included, and every voice was heard. It was wonderful to see what happens when you establish a culture and clear vision, but allow your team to dream with you on how it can happen. The team is now taking ownership of creating a strategic plan for each area and establishing KPI’s to assess whether we are on track with fulfilling our short-term goals.